One of only three women to be appointed Chair of Medicine at a top medical school, and the only female Chair of Medicine in New York, Dr. Barbara Murphy is the Chair of the Department of Medicine for the Mount Sinai Health System, the Murray M. Rosenberg Professor of Medicine, and the Dean of Clinical Integration and Population Management at the Icahn School of Medicine at Mount Sinai. Born in Ireland, Dr. Murphy earned her M.B. B.A.O. B.Ch. from The Royal College of Surgeons in Ireland and went on to do an internship, residency, and a fellowship in clinical nephrology at Beaumont Hospital in Dublin. She completed her postdoctoral training with a fellowship in nephrology and transplant immunology at Brigham and Women’s Hospital, Harvard Medical School. Only five years out from her fellowship she was made Chief of the Division of Nephrology at Mount Sinai. She has held many leadership positions at a national level in the American Society of Transplantation and the American Society of Nephrology. 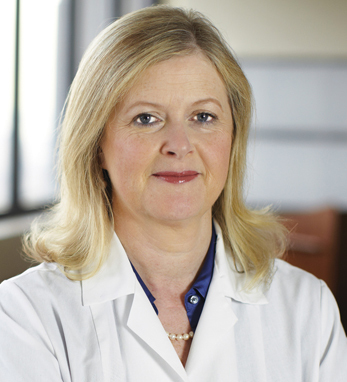 Most recently, Dr. Murphy served as the President of the American Society of Transplantation. In these positions, Dr. Murphy has worked to directly impact patient care and access to healthcare, specifically advocating for long-term coverage for immunosuppression. In 2011, the American Kidney Fund named Dr. Murphy Nephrologist of the Year. Her research focuses on the use of cutting-edge technologies in genomics and genetics to predict and diagnose outcomes of renal transplantation. Her most recent publication identifies a panel of genes that can predict whether a kidney will develop fibrosis and organ failure, leading to the possibility of early intervention to interrupt that process. In addition, she was also a co-investigator on a landmark study investigating outcomes in HIV-positive patients that receive solid organ transplants.